Let’s face it, you have enough difficult decisions to make on a day to day basis, yes? So when it comes to having your dessert at the end of a long day, why add one more challenging choice into the equation? This is precisely the thought that came into my head Sunday afternoon. 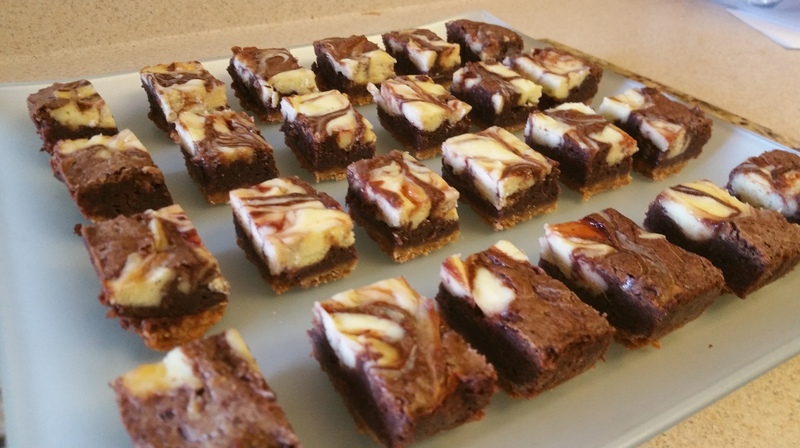 I wanted these super fudgy brownies I made earlier in the week (that seriously satisfied my illicit obsession with “testing” brownie/cake batter), but also had a craving for creamy cheesecake. 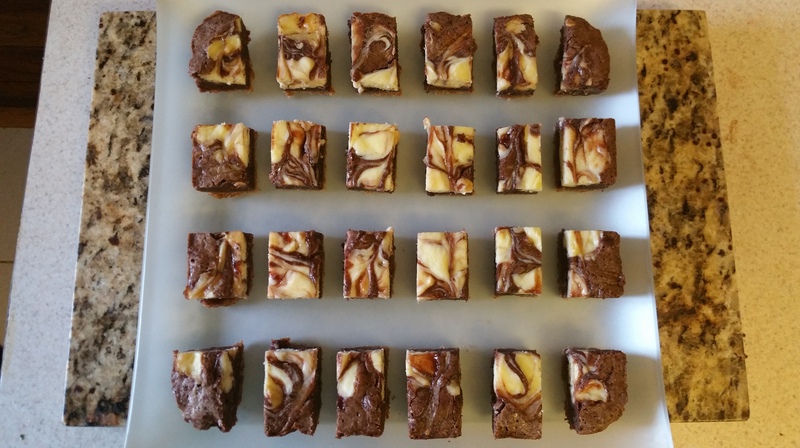 And yes, the classic marbled chocolate and cheesecake brownie seemed like the obvious answer, but there were a few sticking points I needed to address. First of all, if you are going to call something a cheesecake, it needs a delicious crust. 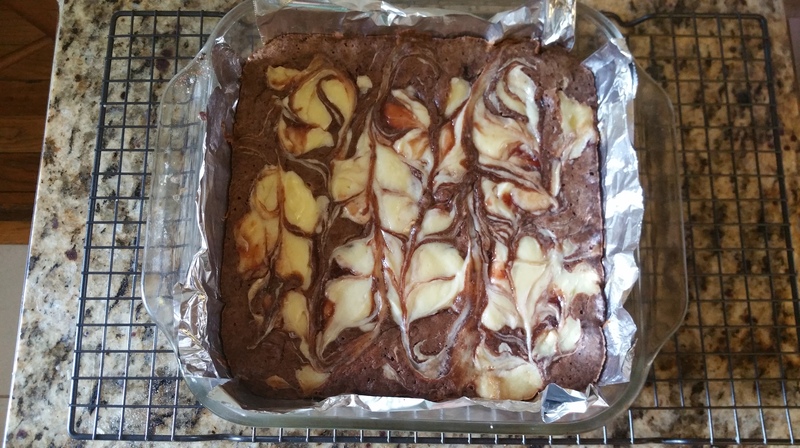 And second of all, fudgy brownie and cheesecake together cry out for something fruity or acidic to cut all of that richness. 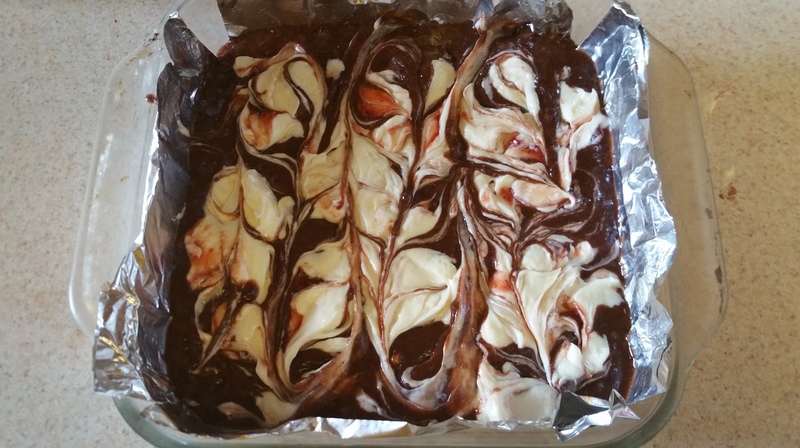 So what I started to imagine was a crunchy, sweet crust, gooey, rich brownie, and smooth decadent cheesecake with a little strawberry swirl. I wandered into the kitchen without a recipe and only my cravings to guide me. And a few hours later, I definitely had no difficult choices to make. *Cacao butter/powder are the raw versions of cocoa butter/powder. This just means that these products have not been processed at temperatures higher than 115 degrees F. Either will produce great results, I just like the flavor of the raw product. Can’t find cocoa butter? Any neutral cooking oil will do in a pinch. 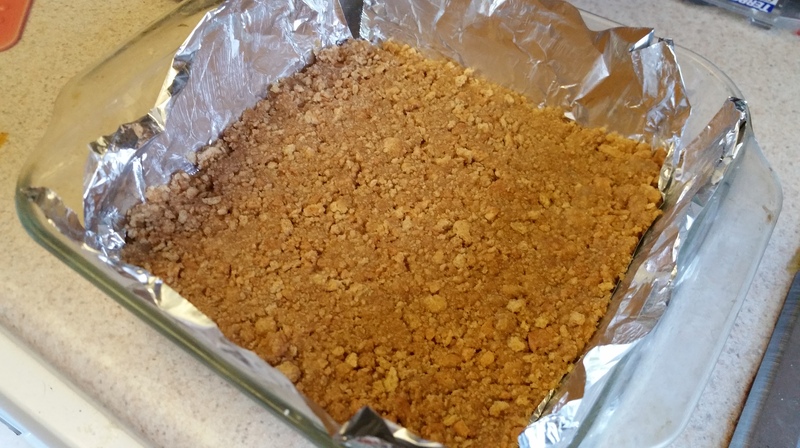 Line an 8×8 pan with aluminum foil and butter the foil. 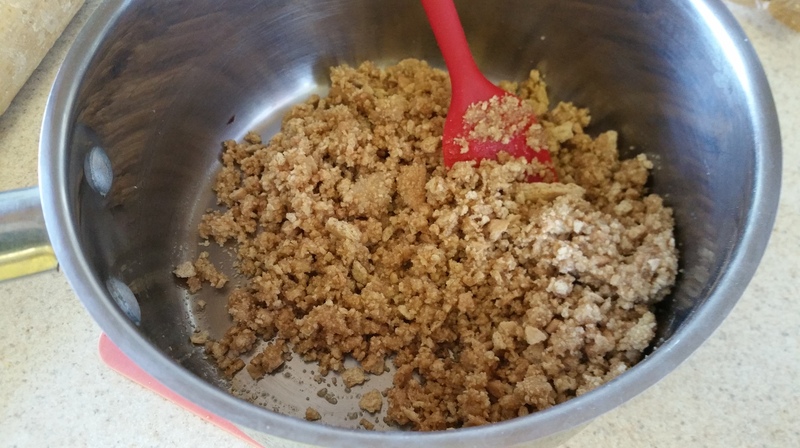 Combine the graham crackers, sugar, salt and melted butter and mix well. Press into the prepared pan in an even layer and bake for 12 minutes, or until just set. Move to a wire rack to cool slightly while you prepare the filling. 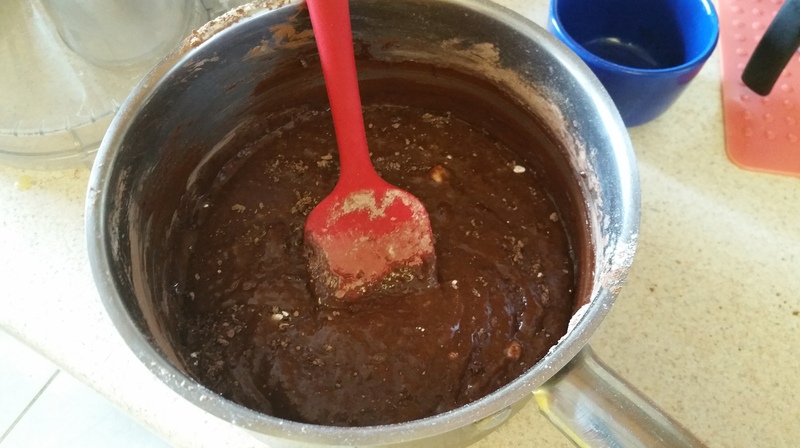 To make the brownie batter, combine the butter, cacao butter, and sugar and mix well. 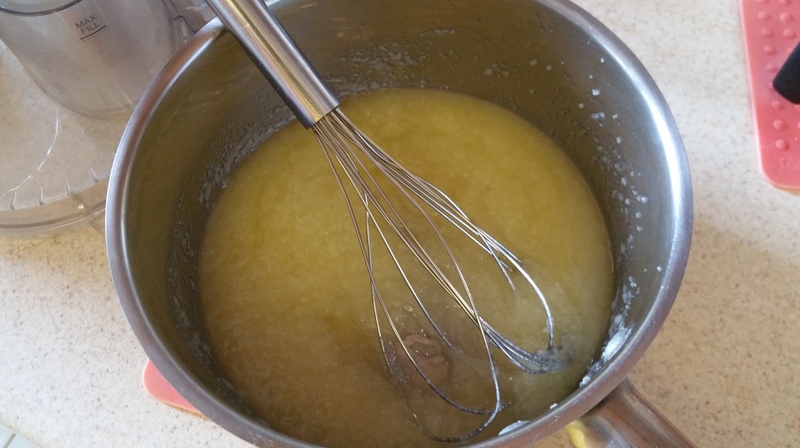 Add the eggs and vanilla extract and beat until thick. 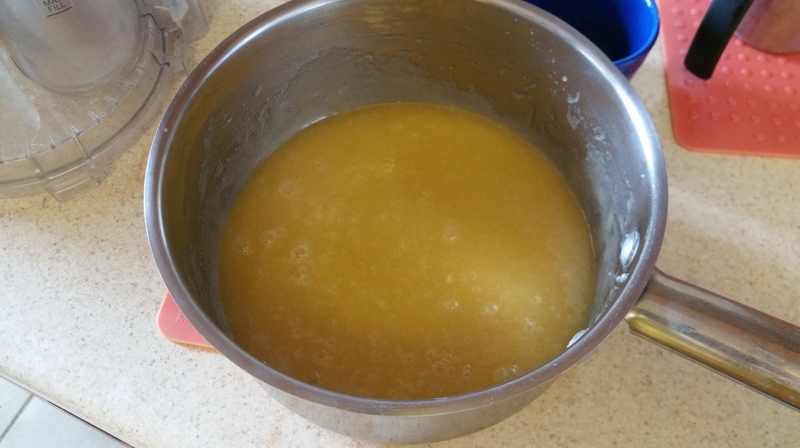 Stir in the dry ingredients, but do not overmix. Some lumps are fine. Pour the brownie batter on top of the crust and set aside. 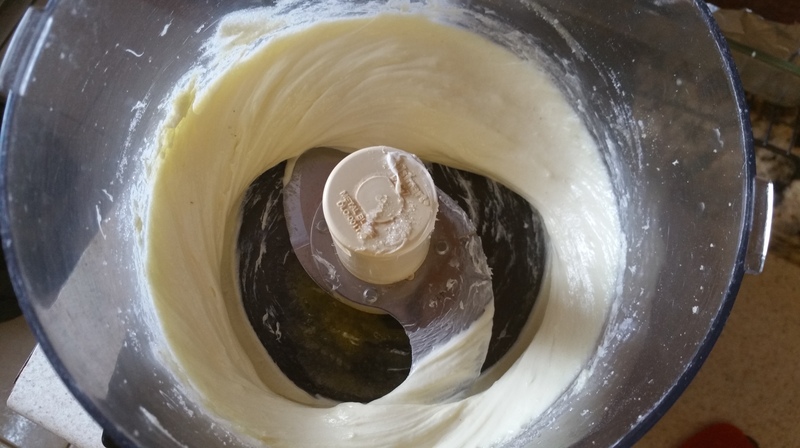 To make the cheesecake layer, blend the cream cheese, egg yolk, and sugar until smooth. I like to use a food processor for this. 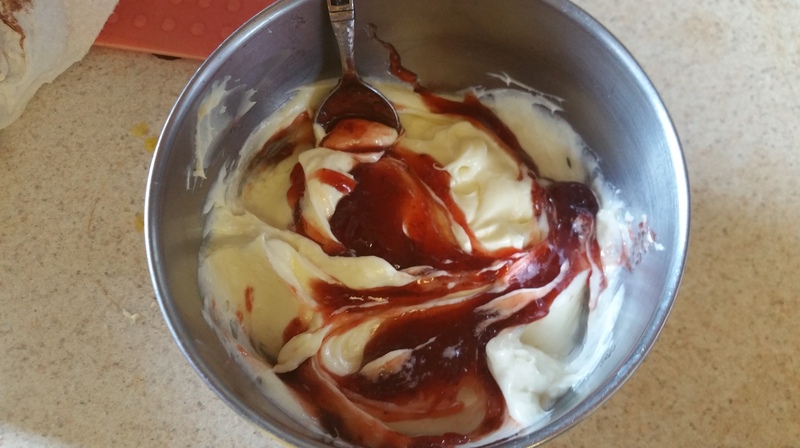 Drop the strawberry preserves onto the cheesecake filling and swirl just slightly. Do not blend well. 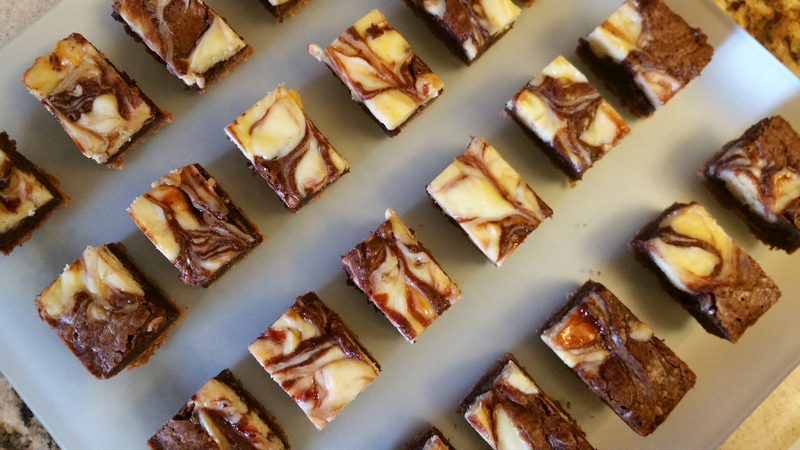 Drop the cheesecake batter on top of the brownie layer in dollops and then use a butter knife to swirl the fillings together. Bake for 35 minutes or until puffy and just set. 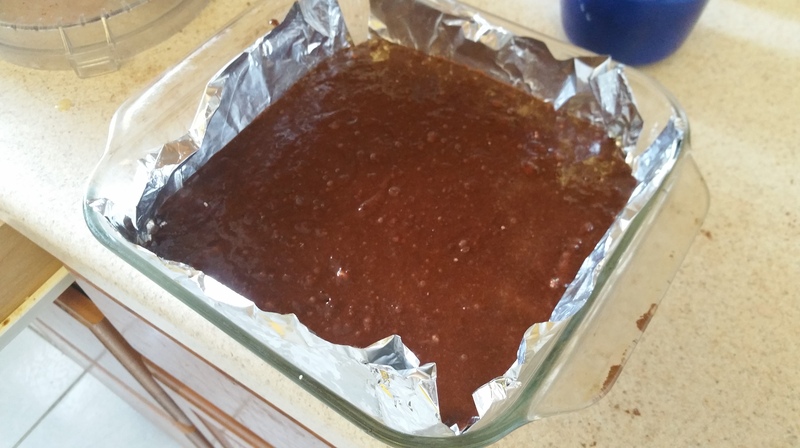 Allow the brownies to cool at room temperature for an hour, and then chill for 2 hours before cutting into 24 pieces. If you care about keeping it pretty, wipe down your knife with a warm, damp cloth between cuts. This really is an awesome contrast of textures and flavors. You get that rich, fudgy brownie against smooth, creamy cheesecake with little swirls of strawberry to brighten it all up a little. Dessert need not be a difficult choice ever again. You’re welcome!